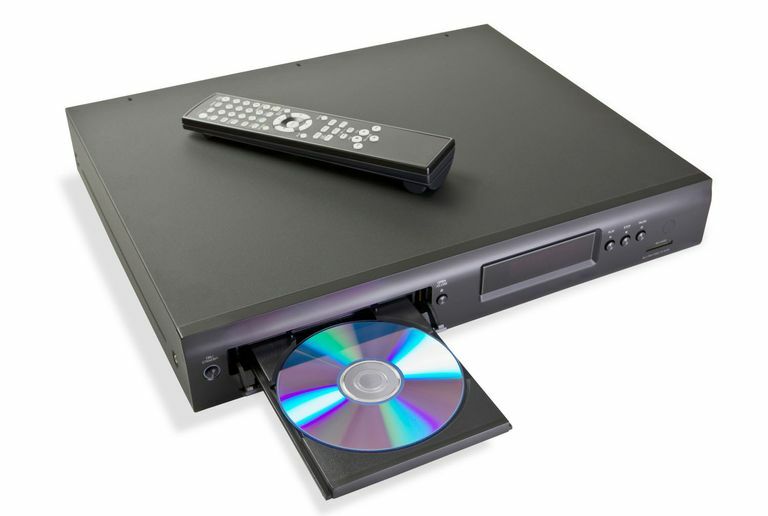 Ever since the introduction of DVD in 1997, engineers and manufacturers were already working on its eventual replacement, which resulted in two incompatible formats: Blu-ray and HD-DVD. After an intense marketing battle, HD-DVD was officially discontinued. As a result, Blu-ray has solidified its presence in the consumer landscape and morphed into a multi-faceted entertainment device. You know that you want to buy a Blu-ray Disc player, but how do you know what you are looking for in one? Check out some useful tips on what to look for when buying a Blu-ray Disc player. Blu-ray Players are now more affordable and plentiful than ever. For a look at our current suggestions for Blu-ray disc players check my suggestions for the best ​Blu-ray disc players for your home theater setup. What happens when you unpack and turn your Blu-ray disc player on for the first time? Setup is a lot easier than you might think. How do you know if you are getting Dolby TrueHD or DTS-HD Master Audio from your Blu-ray Disc player? The answer depends on how you configure your Blu-ray disc player's audio settings and what connections you use between the player and your home theater receiver. Blu-ray is definitely catching on as an integral part of the home entertainment experience. For those that have an HDTV, Blu-ray is an easy add on the video connection front, but getting the most out of Blu-ray's audio capabilities can sometimes be a little confusing. Check out the different options for connecting the audio output of a Blu-ray Disc player to your TV or the rest of your home theater setup. How Much Do Blu-ray Disc Players Cost? When Blu-ray Disc players were introduced, they were very expensive, not so anymore. Check out how much it will set you back to enjoy this entertainment option. What Types of Discs Can You Play on a Blu-ray Disc Player? In addition to Blu-ray Discs, these players can do a lot more! Check out the details what types of discs you can play on them. One of the problems with DVDs is that they are region coded, which means that you can't always purchase discs from overseas and watch them through your player. Blu-ray also has a region code system, but there are some interesting differences. Find out what they are. Blu-ray is an integral part of the home entertainment experience. The best part of Blu-ray are the movies we get to watch in full high definition, and, in some cases, 3D. As part of my job, I use a lot of Blu-ray Discs to test the audio and video performance of Blu-ray Disc Players, TV, video projectors, and Home Theater Receivers. However, not all Blu-ray discs really show off how well your system can perform. Check out a list of my current favorites. Blu-ray is an integral part of the home entertainment experience, and 3D movies on Blu-ray providing an additional viewing option for consumers. As part of my job, I use 3D Blu-ray Discs to test the 3D video performance of Blu-ray Disc Players, TV, video projectors, and Home Theater Receivers. However, not all 3D Blu-ray discs offer the best experience. Check out our favorites. Of course, it doesn't end with Blu-ray. Check out what you need to know about the Ultra HD Blu-ray Disc format is and how it is perfectly suited for today's 4K Ultra HD TVs.